As I posted a "Television Timeout" once before, I just wanted to extol the virtues of classic television. For Christmas I received the first complete season of TV's classic crime drama, The Untouchables and all three volumes of the great science-fiction anthology series, The Outer Limits. Christmas evening I watched the pilot episode of The Outer Limits, "The Galaxy Being," starring Cliff Robertson as a man who makes technological contact with--"The Galaxy Being"! Minimalism characterizes this unsettlingly confined, meticulously suspenseful series opener, which primarily finds tension in extended, verbally commodious conversations between Robertson's Alan Maxwell and the impressively alien Galaxy Being as played by William Douglas. The creeping impact from Robertson's faintly monotonous vocal pattern juxtaposed against the Galaxy Being's queries, all directed with aplomb and certitude by series writer and executive producer Leslie Stevens. The allusion to Pandora's Box presents itself with great organic urgency in a most impressively intelligent episode. Last night I viewed the second episode, "The Hundred Days of the Dragon," about a communist Asian dictator's efforts to overthrow the government of the United States. This intensely political parable serves to play into the fears of Americans, and the possibility of enemy infiltration of their government. Directed by special effects master and 1953 The War of the Worlds director Byron Haskin--for which he will always hold a special place in my heart (he also directed other interesting films, such as a noirish political drama from 1956 called The Boss)--with careful pacing, the episode is a highly intriguing one. What television shows, classic and contemporary are you watching? The first "Television Timeout" posting proved to be quite a success, measured by the modest standards of Coleman's Corner. I hope people who enjoy watching television, from the past and/or present, help make Part II a worthwhile little blogging event. I am a huge OUTER LIMITS fan and just acquired that sam ebox set to replace the old individual sets. GALAXY BEING and DRAGON are most fine, but all the great ones are ahead and I simply can't wait to compare notes! People have tired over my promotion of this for years, now it appears I finally have a willing accomplice. Touche Alexander!!! Alexander said, "What television shows, classic and contemporary are you watching?" Well, I am watching The Alfred Hitchcock Presents...that I just "threw" in the cart recently and believe me it's only because I been covering his film career. The Dame said, "This time I am so happy! to say, my television is being used as a "portal" for me to stop!...and watch dvds that I just purchased." Aha, Sam, perhaps we should continue an Outer Limits diary in this thread! I'm up for it. As I related in the past, I remembered parts of certain episodes from my childhood, crawling around the floor and enjoying aspects of the show. I did indeed remember some bits and pieces of both of these episodes, and I know I remember more bits and pieces from more episodes. Yet I'm sure there are many that I have yet to see and I cannot wait to finally be exposed to them. Dark City Dame, what a splendidly fitting TV series for you--Alfred Hitchcock Presents--I hope you're enjoying it in full. I normally use my television as a mere portal as well, for DVDs. 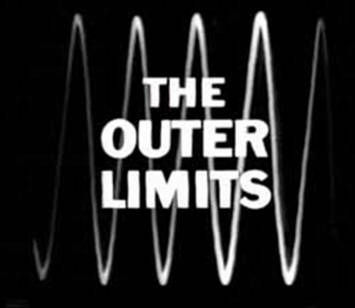 alexander the outer limits series is one of the great sci-fi shows of all time. your taste is impeccable. i cannot believe someone at your young age is watching such classic material. i thought most of today's youth were excited by independence day for god's sake. Ha, well, okay, W.T.R., thanks for the kind comment. Ah, yes, Christian. So many classic episodes from this series. So many I remember so well. Many of the show's best episodes still haunt me, as it sounds like at least one or two do you. In this fast paced world we find our selves in nearly 1 in every 10 individuals struggle from some sort of anxiety. If you think anxiety and depression are not serious issues to go through, think again. It is used to treat moderate to severe anxiety disorders, panic and attacks and is used as treatment for the anxiety associated with depression. Hal Holbrook in "Mark Twain Tonight!"